The warmer weather can only mean one thing. Glamping season is upon us again! Lantern & Larks' four glamping sites reopen for the season on the 31st March 2017. Secure your outdoor adventure by booking your dates now! 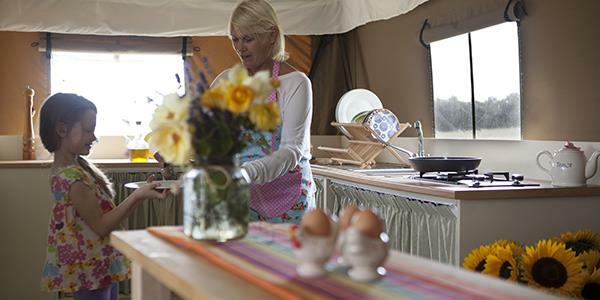 Why go glamping this spring? Save the pennies and stay in the UK for your holiday. 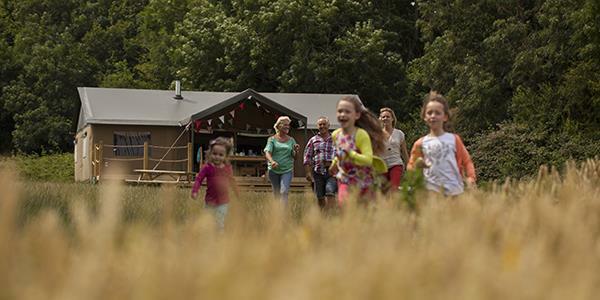 The very best attraction when glamping is the great outdoors... and it's completely free! Our four fantastic sites have been handpicked for their locations and you will have immediate access to all the wonders that the British countryside has to offer. There is no better time to get outside: those unmistakable sights and smells of spring are enough to tempt anyone out in the fresh air. The countryside is just waking up, the weather is brightening and it's now so much easier to explore. What's more, after being cooped up in the house for the winter months, it's nice to finally be able to stretch your legs, get the blood pumping and blow away the cobwebs. Spring also coincides with Easter. So any families out there will know that keeping youngsters occupied during the Easter Holidays is always a must. And glamping is the perfect way to do just that. In Suffolk, and just a short distance from the coast, Sweffling sits in its own rural triangle between Framlingham to its west, coastal Southwold to the north east and the seaside town of Aldeburgh to the south. The stunning Suffolk coast is a protected Area of Outstanding Natural Beauty. Bleasdale is all about the tranquility of the countryside. It is located in the Forest of Bowland AONB and is only a drive away from both the Yorkshire Dales and the Lake District. So you can explore a number of England's most famous regions. Established in the heart of an 18th century Grade II listed estate, Exton's glamping site is situated in a 5 acre walled garden. Its lovely position is made all the better by the close proximity to the renowned Rutland Water Nature Reserve. For fun activities and incredible bird watching opportunities, Exton is really well positioned. In Somerset's glorious countryside, Kittisford Barton is a working farm that is home to chickens, goats and pigs. Little ones love meeting the friendly animals and there are a number of great walks spanning out from the site too, not to mention access to Exmoor National Park. Whether it's the children's school holidays or a quiet get-away with a loved one, there is plenty to enjoy. Thanks to their locations you can enjoy the tranquil walks of the surrounding countryside. Or, if you have youngsters in tow there are plenty of nearby attractions for fun days out. You can burn energy running around the open spaces of the glamping sites and then spend an evening under the stars, gathered around the firepit for some good old fashioned s'mores. All the 'tents' have every comfort of home: running water, cooking facilities, even their own WC and shower. So there is no need to compromise on anything and these canvas retreats make a fun and hassle-free holiday for all ages! We offer weekend breaks if your work or school schedule is a bit of a complication. If it's the holidays or you have some holiday to use up, then we also have weekday breaks available. So it's up to you when you come and stay. If a weekend just isn't long enough for you, why not take a mini-break? You could have four days or even a week to really recharge your batteries. Or take a look further ahead at all the dates we have available across all four of our sites by visiting the website. Book a Lantern & Larks break today.